Before going to see the movie Mother (which I do recommend), I think it would be good to read a few reviews. I am specifically suggesting the review by A.O. Scott, which appeared in the Sunday, September 14, 2017, edition of The New York Times. One of the late scenes in the movie is pictured above. There may be a cast of thousands, but Javier Bardem and Jennifer Lawrence (and particularly Lawrence) pretty much dominate the film. Scott's review says that Mother is "A Divine Comedy, Dressed as a Psychological Thriller." He emphasizes the "comedy" part, and calls the movie a "hoot." Scott claims that the movie made him "laugh harder and more frequently than just about any other movie I’ve seen this year." Scott is also responsible for characterizing the movie as a trip "from Genesis to Revelation and back again." With all deference to Scott, reactions may differ. I did not find the movie a laughing matter, but I had decided not to see it at all, until I read his review. "Horror" movies are not my genre of choice, and I had gotten the impression that this was one of those haunted house horror flicks that some may love, but that make me cringe. That is not what the movie is all about, as Scott so accurately reports. It's an allegory about the destruction of Mother Earth, and that's a topic I care about. We all should care about that! If you keep the allegory in mind as you watch the movie (once you know the secret agenda of the movie, as revealed by Scott), my bet is that you'll come away with an appreciation of just how desperate is our plight. The title to Scott's review (which does reflect the trajectory of the movie) may work on the allegorical level, but in terms of the real travails of Mother Earth, the "back again" part is not very convincing. 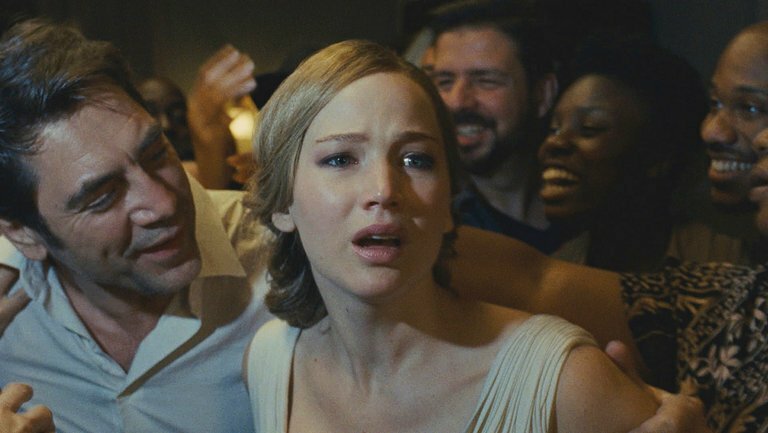 What I saw in Mother was a one-way ticket, heading out from "Paradise," taking in the story of Cain and Abel, along the way, and then heading on to the fires of Hell. Man (Bardem gets to play Man in the allegory) is leading the charge. Is this a hoot? That was not my reaction!